Toddler Approved! : 5 Tips for Dressing Kids Comfortably for Play! 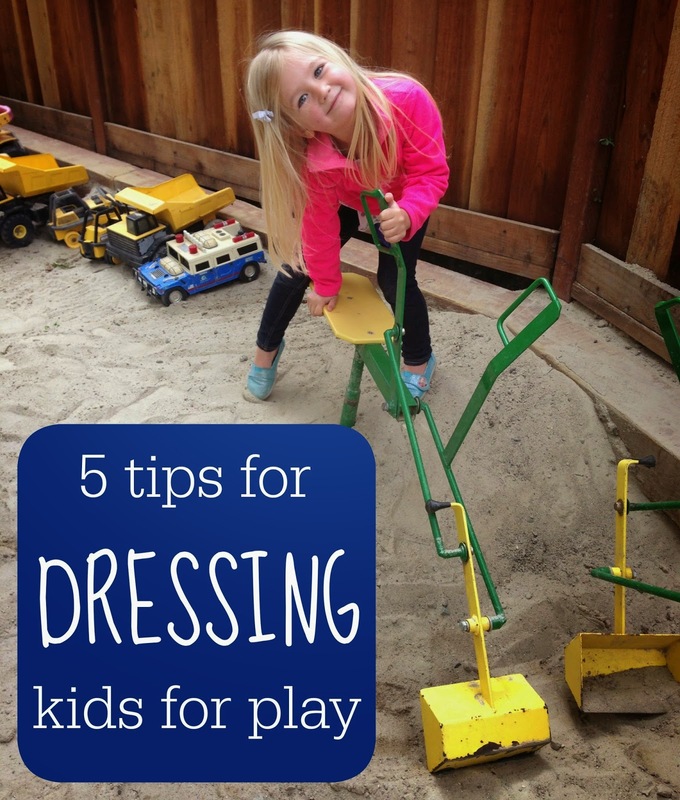 5 Tips for Dressing Kids Comfortably for Play! This is a sponsored conversation written by me on behalf of Garanimals. The opinions and text are all mine. I am always doing something related to clothes. I am either putting them on a kid, sorting through clothes that don't fit any more, buying new clothes, checking out clothes that were donated to us, washing clothes, putting clothes away, picking up clothes off the floor, or pulling them off kids because they are dirty! Clothes make up a big part of my day. As a mom and teacher I've also realized that clothes can play an important role in how kids learn and explore and how comfortable they feel. Have you ever had pants on that kept falling down and felt awkward or uncomfortable? Or have you ever worn something really nice and felt limited with what you could do all day? Mr. Rogers said, "Play is the work of childhood." Just like adults like to be properly outfitted for their jobs at work, it is important that kids are also wearing the appropriate attire for their jobs too... and that job is playing! Today I'm going to share five tips for dressing kids comfortably for play! I'm sure you have loads more advice too. Please share it with me! Playing is no fun if you're worried about clothes sliding down or getting caught on something or being stiff or inflexible. During play time you want kids to be able to bend, twist, run, jump, and move however they want. Kids want to feel comfortable whether they are sitting on the floor or standing or hopping or riding a bike or sliding down a slide. We like to test clothes out and make sure that when kids bend down or reach up they aren't showing off too much skin on either their front or back. Clothes that are soft and stretchy with some give are great for moving kids. My kids especially love elastic waistbands since they get really annoyed if things slide down. We love breathable pre-shrunk cotton or a cotton/polyester combo. You also want to make sure that play clothes aren't too baggy or flowy (unless you are playing dress up, of course!). Clothes that have too much excess material can get caught as kids move around and can be frustrating and distracting, especially if they have to keep rolling up clothes or pushing them up. Wearing bike shorts or leggings can also help girls feel more comfortable if they want to be able to move but still like wearing dresses or skirts. Play clothes are bound to be washed a lot since they are used during playtime. Play can be filled with messy activities, explorations, and experiments. Keep it easy and avoid clothes with complicated washing instructions. I typically wash most things on cold and then hang them to dry because using the dryer too often seems to make our clothes shrink or wear faster. I love fancier clothes for dinner dates and special family events and church, but for daily play at the park and at preschool I like to stick with clothes that are easy to wash and get back in the clothing rotation as quick as possible! I don't have a huge budget for clothes so I prefer to get as much wear out of each outfit as possible. By buying clothes a little bit larger than needed (but not too baggy) they seem to last for longer. They are also more comfortable than clothes that are just the right fit that then shrink or that kids grow through too quickly. My favorite types of clothes are ones that are adjustable- especially jeans and other types of pants! Kids seem to always be removing clothes because they are dirty or they have to go to the bathroom or because they are playing dress up. Having clothes that are pretty easy for kids to take off themselves makes life so much easier... especially when I'm hosting playgroup for 5 other kids who all want to dress up too. During potty training I especially like to make sure that pants are easy to pull down and aren't too tight. We also try and avoid tricky buttons and snaps and shirts with head holes that are more narrow and tough to pull off. I don't like to avoid zippers and snaos entirely though because they are great for strengthenng fine motor skills. I always like to try them out though... some are made much better than others. If a child can't unsnap his pants then there are bound to be potty accidents, so I'd prefer to avoid those! Where we live in Northern California the weather can change dramatically so I also like to dress my kids in layers. It is important that they know how to put on and take off a hoodie or a simple long sleeved shirt. Fabric that is too tight, thick, or too slick or even too small doesn't work well for teaching kids to be independent and get themselves dressed/undressed. Just because you buy it doesn't mean they'll like it. Sometimes what we think is comfortable for play is not the same as what they think is comfortable (ie. my daughter wearing an Elsa dress for half the day). I prefer to avoid power struggles over clothes and if I really don't like an outfit or think it is too crazy... I just take a photo to show at a later date :). One of my favorite ways to get kids dressed for play in clothes that they think are comfortable is by setting out two different pants or shirts and letting them pick. This way we both get to have an opinion but they still get to choose. One great option for affordable and comfortable clothes is Garanimals, which is exclusively sold at Walmart stores and at Walmart.com. I especially love the simple tees and polos and shorts for the summer. With how quickly kids grow it is nice to have somewhere to go to buy afforable and cozy clothes. This Garanimals video cracks me up and reminds me of how I feel every time I go to sort through my kid's clothes and they have already grown out of most of their clothes!! Garanimals is designed to provide newborns, infants, and toddlers with affordable, comfortable, and stylish clothes—which makes shopping easier for parents. As kids keep growing, Garanimals offers 365Kids: the latest styles from Garanimals for bigger kids, up to size 8. What are your tips for dressing kids comfortably for play? Do you have a favorite place to buy play clothes?